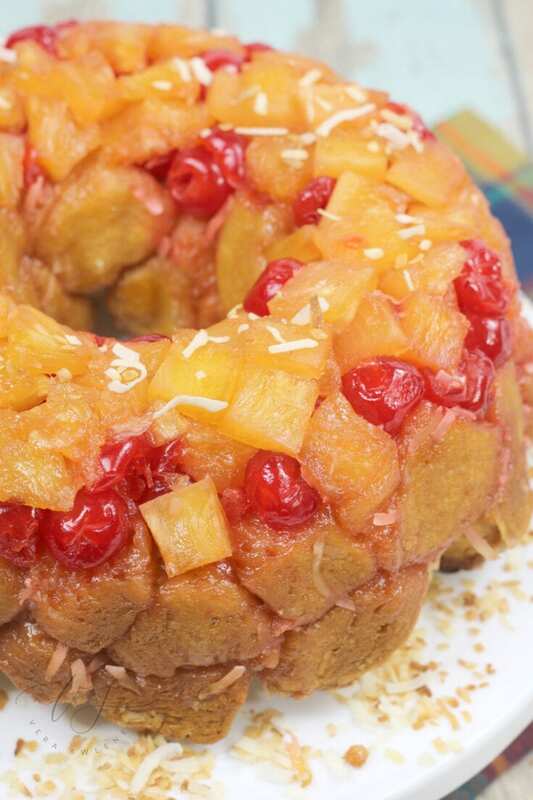 My family loves Pineapple Upside Down Bundt Cake. There is just something about pineapples and coconut, right? Oh so good! Well, sometimes dessert tastes so much better when it’s easy to make and we’ve created an easier version of the classic that you are so used to making. You will get all the same great tastes and flavors. 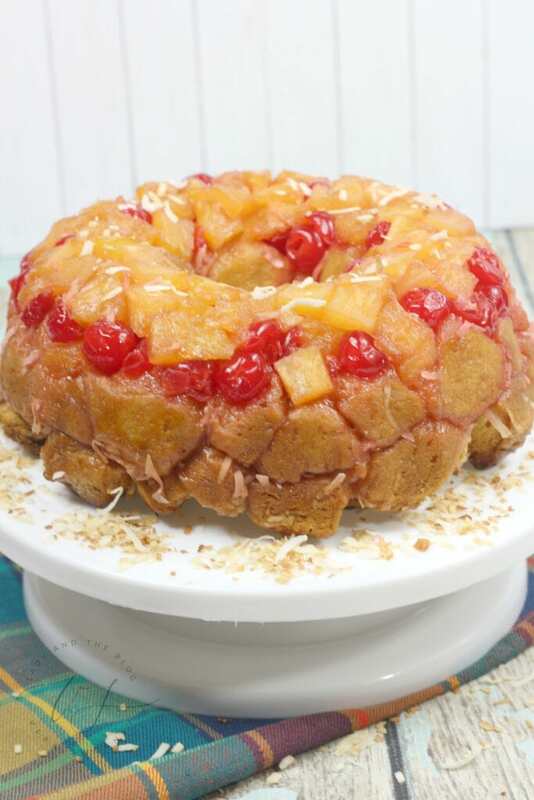 You will get to show off the same showstopping look and feel of the dessert you love, but this post is going to showcase a Pineapple Upside Down Monkey Bread Recipe. That’s right! 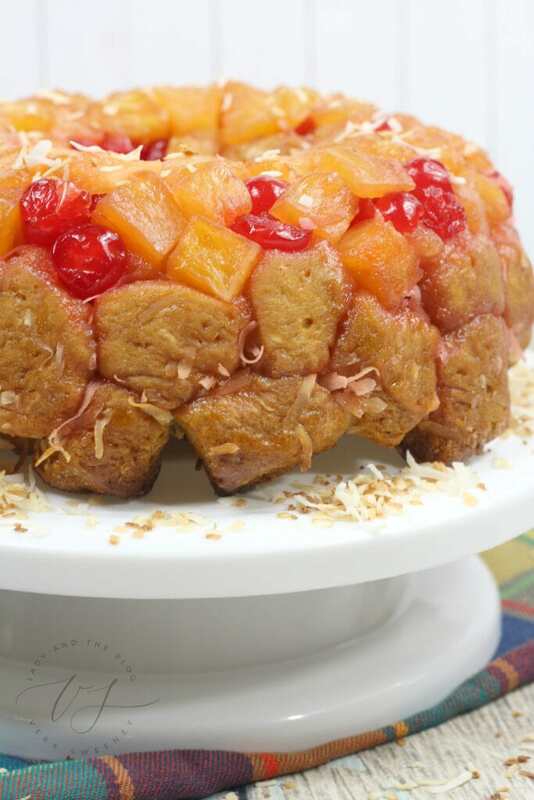 We are going to use monkey bread to create this sweet treat. I love making monkey bread desserts. 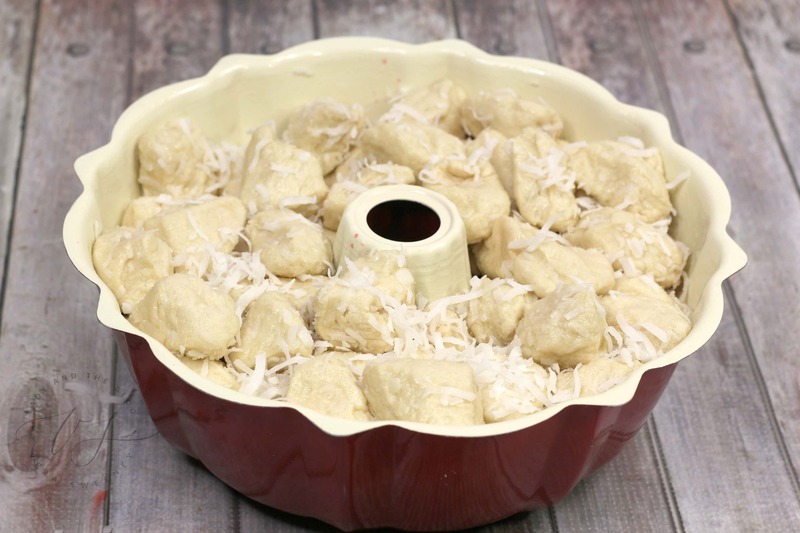 We’ve featured Christmas Monkey Bread, Chocolate Chip Monkey Bread (oh Lord help me), and then your traditional base Monkey Bread recipe. I’m not kidding when I tell you that I love to surprise the kids with this type of cuisine. Or I guess I should say that I’m not monkeying around but then you will just click off this post and never return again. I just want to say right off the bat that if you aren’t into coconut then skip the coconut. My children are hot and cold with this flaky treat. My husband, on the other hand, would put a little bit of coconut on just about anything. Keep that in mind. You can alter this recipe as you see fit. 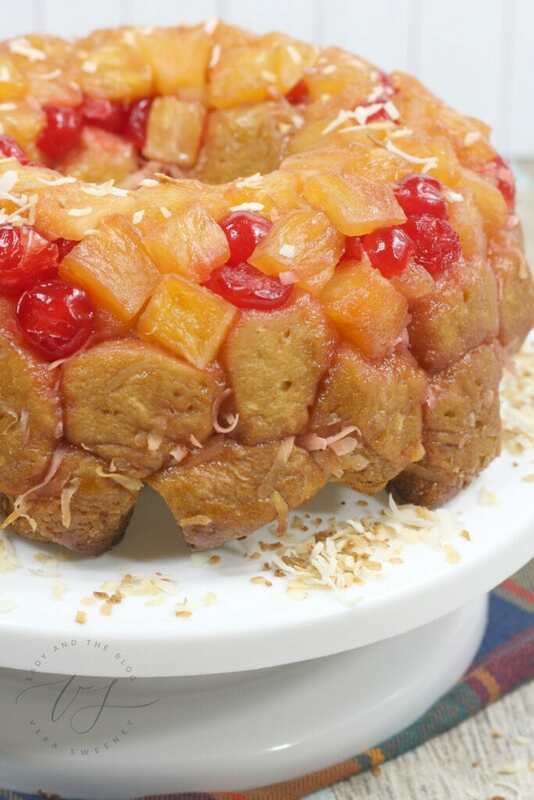 Pull apart monkey bread makes this dessert a crowd pleaser. Invite your friends over, gather around the kitchen island, and get ready to get your hands dirty. I truly believe that’s part of the fun. If you are wondering what gives this dessert that ooey gooey goodness, it’s melted butter and brown sugar. Yum and yum! Am I speaking your language? I hope so! When was the last time you used your bundt pan? I have to admit that I really don’t make many desserts with that particular kitchen tool. That’s why this recipe is a great one to keep on hand because it gives you a great reason to take out a product that really provides a beautiful frame for food. 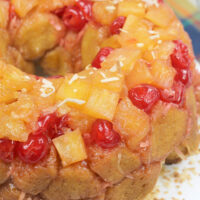 Plus, have I mentioned that this pineapple upside down monkey bread tastes like sunshine? LOL! Pineapples remind me of my last visit to Hawaii. And Hawaii reminds me of those warm, glowing rays. Preheat oven to 350 degrees and spray a bundt pan with baking spray. Then set your bundt pan aside. Cut each biscuit round into quarters. I use Homestyle Pillsbury Biscuits, but you can use whatever type you’d like. 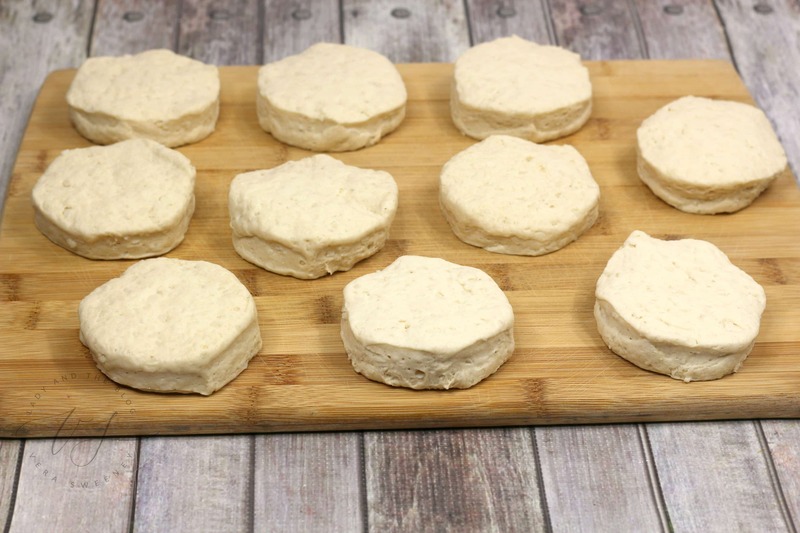 Each biscuit should be cut into 4 pieces. 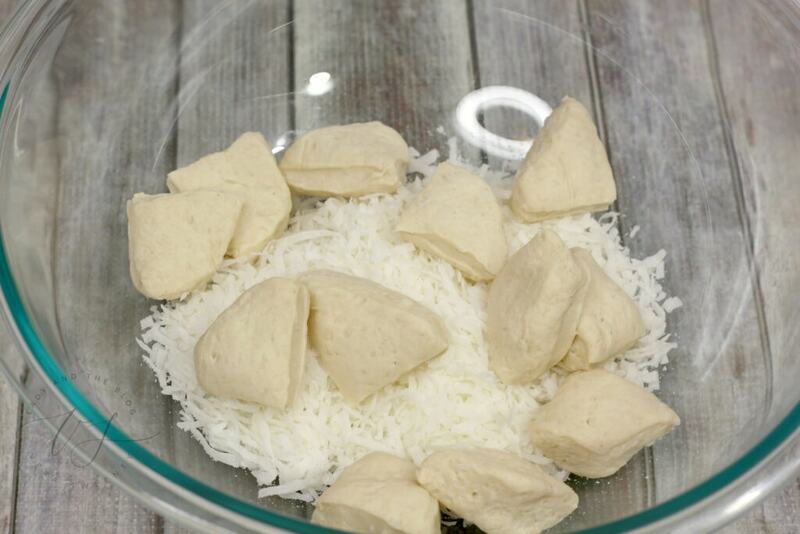 Place your biscuits pieces into a large bowl and then mix the contents with sugar and coconut. Cover evenly and set aside. Have I mentioned yet that this is the absolute best way to end a meal? Oh my word! 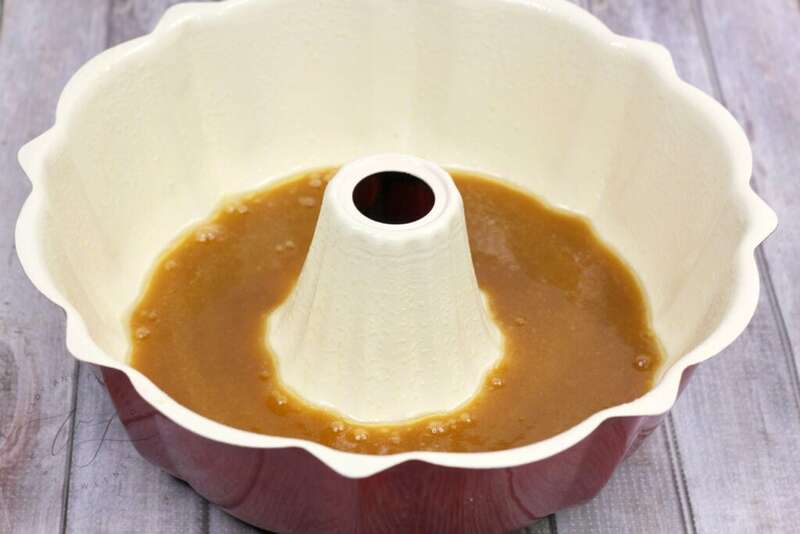 Melt butter and brown sugar in a small pot until combined, mixing gradually. Pour into greased bundt pan. Next up, you will want to place your cherries into your caramel mixture. 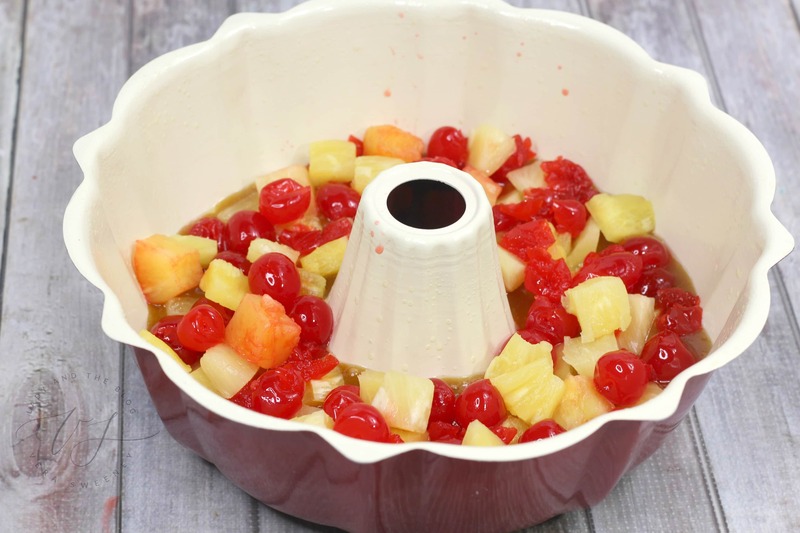 Then add your pineapple chunks on top of the cherries. 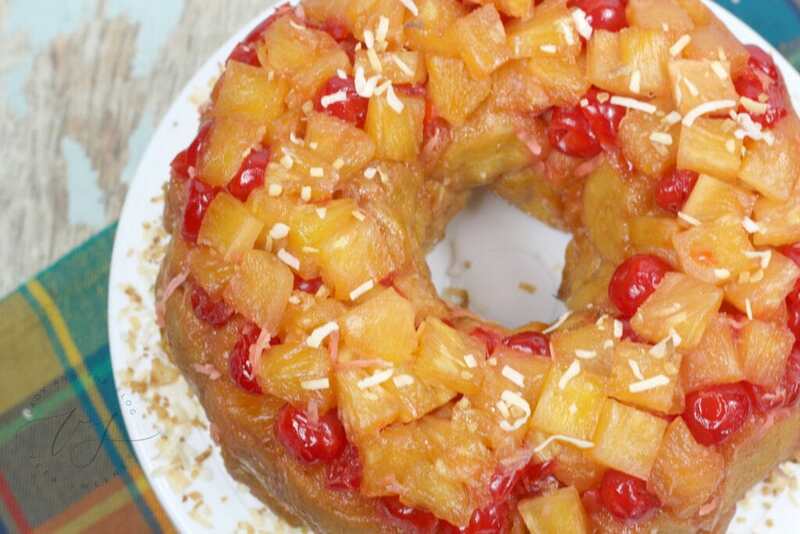 Finally, place your dough mixture on top of the pineapples. Bake for 45-50 minutes or until dough is completely cooked in the middle. Every oven is different – so be sure to check often. Place a large plate or cake stand on top of the bundt pan and flip over. This is how you get the upside down part of the recipe. And there you have it!! Pineapple Upside Down Monkey Bread!! What do you think? Easy enough, right? Cut each biscuit round into quarters, 4 pieces. Place into large bowl and mix with sugar and coconut. Set aside. Melt butter and brown sugar in a small pot until combined, mixing gradually. Place cherries into caramel mixture, then pineapple chunks on top of cherries. Finally, place dough mixture on top of pineapple. Bake for 45-50 minutes or until dough is completely cooked in the middle. Place large plate or cake stand on top of bundt pan and flip over.